Welcome to the June 8, 2018 edition of ACM TechNews, providing timely information for IT professionals three times a week. A study by researchers at the Max Planck Institute for Intelligent Systems in Germany detailed researchers' exploration of robots capable of hugging humans for emotional support. For the study, participants interacted with a specially modified PR2 robot called HuggieBot. 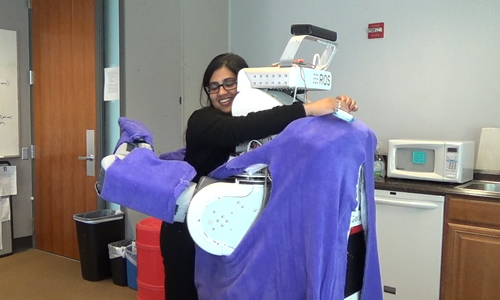 The robot could be equipped with soft foam, cotton, and polyester layers that could be heated, while also applying a range of hug pressures and interactive hug durations. The team determined participants generally preferred HuggieBot's soft and warm hugs, and also liked "really tight hugs" most of all. They also found hugging and receiving hugs from a robot apparently increased the machine's likability among participants. Microsoft says it is expanding a program to boost the hiring of women who want to return to work. The program is a component of Microsoft's LEAP diversity effort to recruit women and minorities from unconventional backgrounds. "Not only do we want to empower women's comeback but also tap into non-traditional talent pools," says Microsoft human resources manager Belen Welch. Microsoft's "returnship" trainees will be assigned to two teams in Vancouver, WA, with one group focusing on augmented and virtual reality and the other working in a video game studio. Microsoft's September 2017 diversity statistics estimated that women accounted for 26% of its global workforce and 19% of its leadership. Returnship programs are finding favor in Silicon Valley as technology companies push to address charges of preferring to hire young male employees. A group of researchers at the Centro Nacional de Análisis at Spain's Center for Genomic Regulation (CNAG-CRG), Spain’s University Pompeu Fabra, and the Spanish Biomedical Research Consortium on Rare Diseases developed a computational framework for concurrent analysis of single-cell gene expression levels. 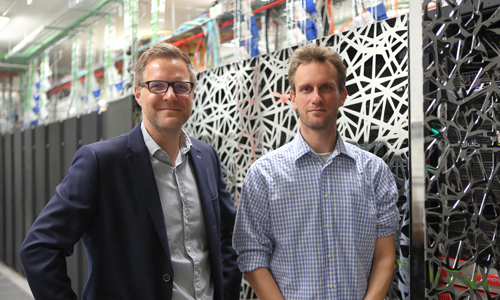 The BigSCale tool, which can be scaled to process millions of cells, "is extremely powerful in identifying cell-type specific genes, which greatly helps in the downstream interpretation of experiments," notes CNAG-CRG's Holger Heyn. Heyn says a module in the BigSCale workflow facilitates analysis of millions of individual cells via directed convolution. "The BigSCale framework provides a powerful solution for virtually any species and is even applicable outside the RNA sequencing context," Heyn notes. 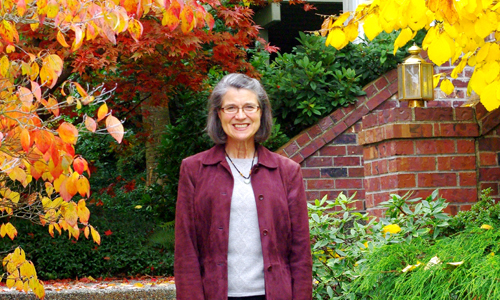 The University of Washington’s Susan Eggers has received the 2018 Eckert-Mauchly Award for exemplary contributions to the field of computer architecture. The award, sponsored by ACM and the IEEE Computer Society, is the most prestigious honor in the computer architecture community. Eggers' work has focused on simultaneous multithreaded processor architectures and multiprocessor memory sharing and coherency. She played a prominent role in the development and commercialization of simultaneous multithreading (SMT) as a way to boost parallelism and performance. Eggers also made significant contributions in cache coherency, a technique for maintaining consistent data across shared-memory multiprocessors. The award was presented to Eggers Tuesday during the 45th International Symposium on Computer Architecture (ISCA 2018) in Los Angeles. A researcher at the Queensland University of Technology (QUT) in Australia led an international study applying artificial intelligence (AI) to analyze regional personality traits based on linguistic patterns in 1.5 billion Twitter posts in order to pinpoint both heavy and thin concentrations of entrepreneurial personality and activity in the U.S. "What we have discovered here is that social media—how language is used in Twitter—is a reliable marker of economic vitality in a region," says QUT's Martin Obschonka of QUT’s Australian Center for Entrepreneurship Research, who worked on this with colleagues at the London School of Economics in the U.K., the University of Pennsylvania, and Germany’s University of Mannheim. Obschonka says the team used a machine learning model from the University of Pennsylvania to uncover an "impressive overlap" between U.S. plots of Twitter-based local measures of entrepreneurial personality and plots of actual startup rates. "What we have discovered here is that social media—how language is used in Twitter—is a reliable marker of economic vitality in a region," Obschonka says. Facebook says its StatePoint Liquid Cooling (SPLC) system is a new kind of datacenter cooling solution that can accommodate more extreme conditions, allowing organizations to set up datacenters in places where direct cooling is not possible. The SPLC system can slash water usage by for datacenters in hot, humid climates by more than 20%, and by 90% in cooler areas, compared to previous indirect cooling systems. According to the company, the SPLC system eliminates the need for mechanical cooling in multiple climates. Massachusetts Institute of Technology researchers have developed a wireless method for powering and communicating with devices implanted within the human body. During testing in animals, the researchers demonstrated that the implants can be powered by radio frequency waves from up to one meter away, when the device is implanted 10 centimeters deep in tissue. The researchers tested a prototype device about the size of a grain of rice, and they theorize it could be made even smaller. 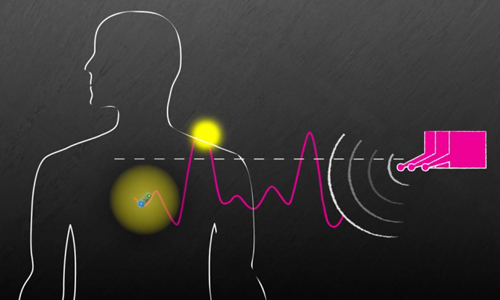 The implant relies on In Vivo Networking, a system the researchers devised that uses an array of antennae that emit radio waves of slightly different frequencies; when the high points of the waves overlap, they provide energy to power the implanted sensors. The researchers will present their work at the ACM Special Interest Group on Data Communication conference (SIGCOMM 2018) in August in Bupadest, Hungary. Researchers from Germany, France, and the U.S. have demonstrated that a deep learning convolutional neural network (CNN) can outperform experienced dermatologists at detecting skin cancer. The University of Heidelberg's Holger Haenssle compares the CNN to a child's brain, improving with each training session. To train the network, the team used more than 100,000 images of malignant melanomas and benign skin lesions and moles, with information on the diagnosis for each image. The CNN missed fewer melanomas and misdiagnosed the benign lesions as malignant less often than dermatologists, who accurately detected an average of 86.6% of melanomas, while the CNN correctly identified 95% of melanomas. Haenssle and his colleagues do not believe the technology will replace dermatologists in skin cancer screening, but suggest it can be used as a supplemental tool, for example, in determining whether to biopsy a lesion.